Open floor plan Condo with 9 ft ceiling throughout in highly coveted Sunset Bay Villas. Enjoy lovely sunsets from either of the two private balconies that overlook Mobile Bay. Home has first floor Living/Dining/Kitchen open concept. 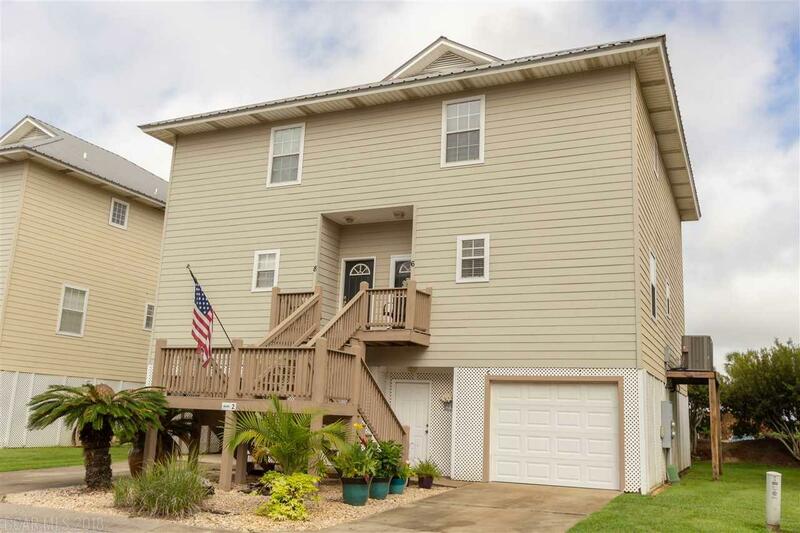 Experience low maintenance living on the Eastern Shore with many amenities including a private lake, community swimming pool, hot tub, fishing pier, and BBQ/picnic area. Private balconies are located off the living room and the spacious Master Bedroom. Large Master Bath, complete with double vanities, jetted tub, separate stand up shower, and walk in closet. Wake up every morning with a beautiful view of Mobile Bay. Tuck under parking provides ample space for two cars and also has a spacious built-in workshop/storage area. Close to local amenities including dining, shopping and entertainment, as well as major transportation routes including Highway 98 and Interstate 10. Refrigerator(purchased in April 2018) will be included with home.